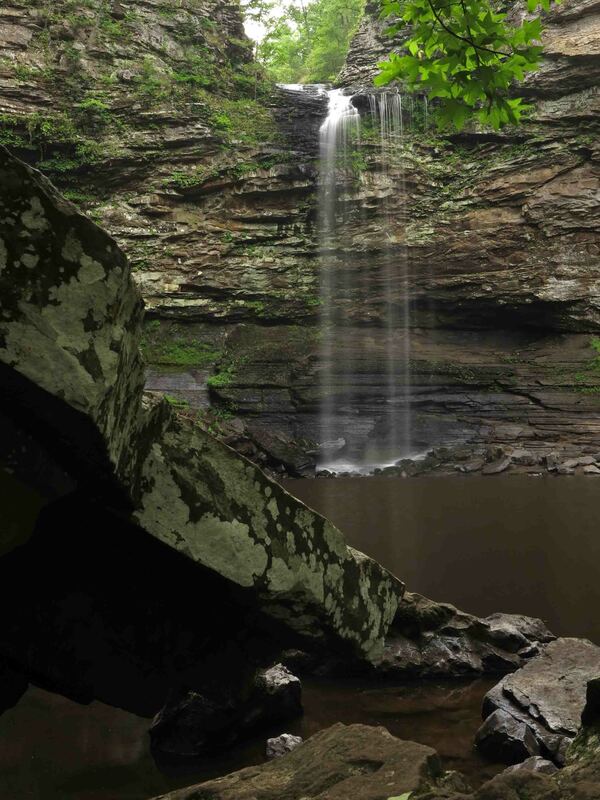 I enjoyed the short hike down to Cedar Falls at Petit Jean State Park, remembering many hikes with my father and friends on this trail I’ve traveled since childhood. Passing a large boulder or pressing my hand across the intricate patterns of erosion on a rock wall might prompt memories I hadn’t thought of for years. My father is unable to hike this trail now, but I’m thankful for the time we spent together on this and other trails over the years. He had an appreciation for nature and that was one of many gifts he passed down to me. After I spent a few minutes with Cedar Falls, a father and son duo approached. I enjoyed catching a few shots of their enjoyment at the base of the falls and wondered if this place would become a memory bank for them as it had for me. While hiking away from the falls, I waded out into the creek with my camera and tripod for the following shot. The warm water felt good as reflections danced off rock surfaces. I did happen to think about the snake I saw a few minutes earlier that slipped from the trail into the water but figured he wouldn’t mind my short visit into Cedar Creek. Cedar Creek below the falls. After hiking back up to Mather Lodge, I looked out across the Cedar Creek valley and thought of the times I’d spent there with family. 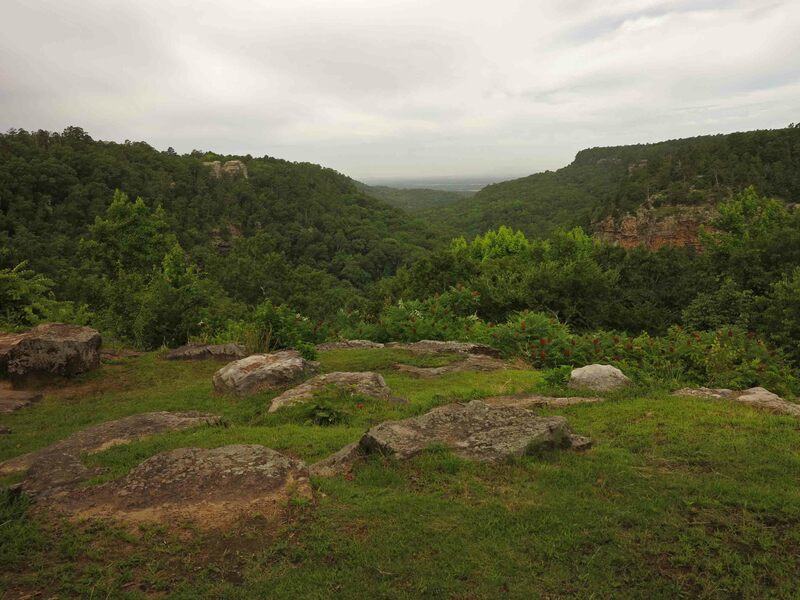 I thought about one daughter’s soft singing as she and her older sister and my wife and I stared at the stars from this bluff one night. I thought of a family photo we took on the bench close by. I thought of how, as a child, I used to stand and stare at the rock walls on the other side, wondering how the flow of water over time could form such beauty. I felt thankfulness for my daughters though miles sometimes separate us. I felt thankfulness for my parents who are still able to experience trails through the photos I share. I’m thankful to have my father and thankful to be a father. 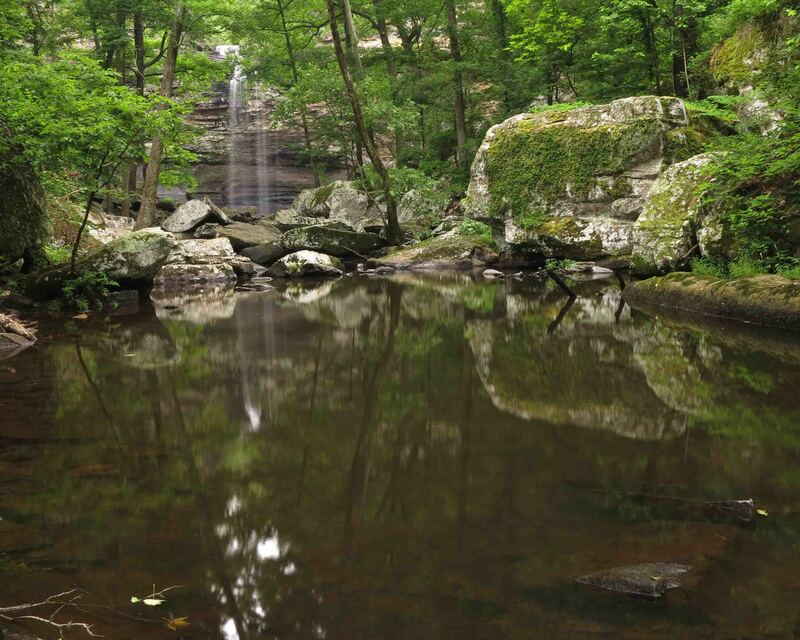 Happy Father’s Day from Cedar Falls Trail. 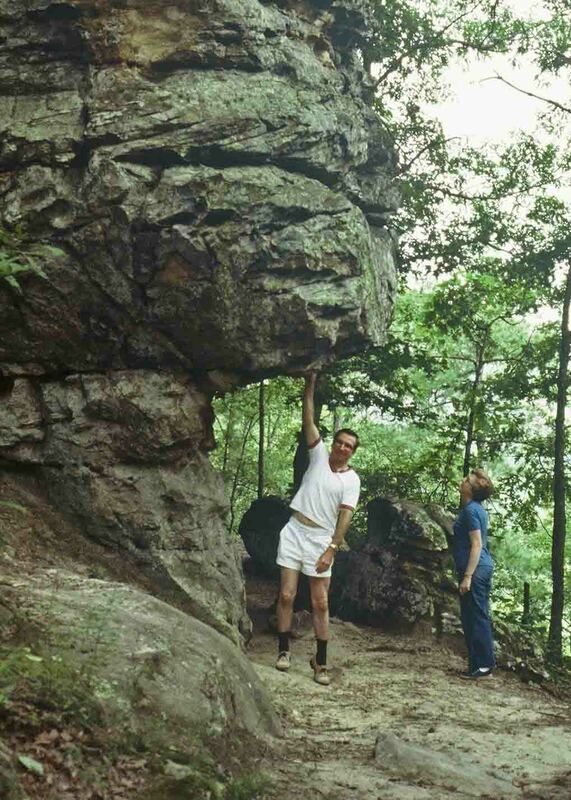 My parents on a Petit Jean State Park trail during the 1980s. 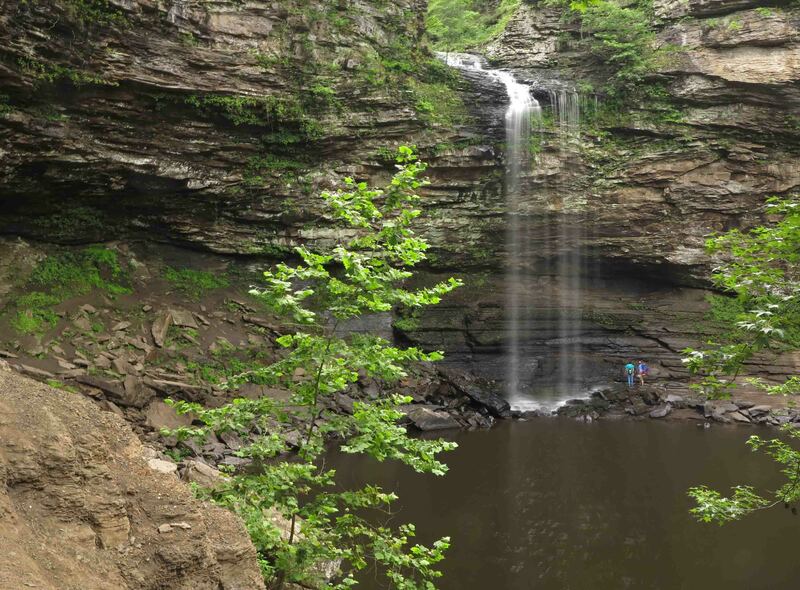 This entry was tagged Cedar Creek, Cedar Falls, Father's Day, Mather Lodge, Petit Jean State Park. Bookmark the permalink. Beautifully stated, Sir! Thank you for sharing! And, a very Happy (belated) Father’s Day to you!